Everyone would agree that door locks are important parts of the house. They keep your home and family secured. Aside from padlocks, other types of door security may be installed. Proper lock installation is required to make sure it’s working properly and that maximum security provided. In case of lost house keys, our experts recommend that you have your lock changed or rekeyed. Key replacement is another option, however, whoever finds your old keys may have access to your home. This is why the other options, which are replacement and rekeying, are more ideal. Here are the different types that you can choose from. Deadbolts are some of the most popular lock in residential settings. They have a thumbturn that can be opened from the inside, while a key is needed to open it from the outside. This is generally called a single deadbolt. There are two more other types called the lockable thumbturn and the double deadbolt. The double deadbolt requires a key to open both from the inside and outside of the door. The lockable thumbturn on the other hand works like the single deadbolt lock. However, you have the option to lock the thumbturn, which is a feature that’s not present in a single deadbolt lock. Like deadbolt locks, it can be opened with a key from the outside and with a thumbturn from the inside. It interlocks with a jamb bracket, which makes it more difficult for intruders to gain entry by force. Moreover, you can replace the rim cylinder in case you wish to change locks, instead of replacing the whole deadbolt, which is cost effective and convenient. This is another common door lock used in households. However, since they can be broken easily, you may want to use another type of door lock for your exterior doors like the main entrance or backdoor. 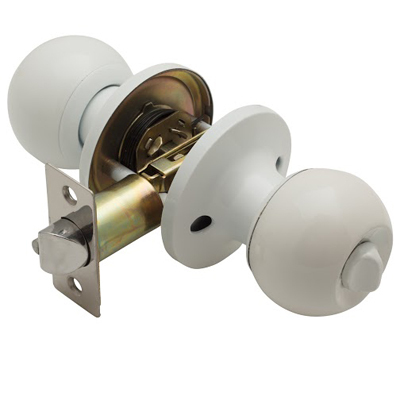 You may use these types of door locks in bathrooms and bedrooms instead. They are like knob locks that can be opened with keys when locked. When they are not, the lever can be used for opening the door, instead of a knob. While these products are often seen in commercial settings, they can also be used in apartments and homes. To learn more about the different types of locks, you may contact Locksmith Palos Verdes Estates. They will gladly answer all your key concerns.